Home Tech Do You Know Top 3 Alternatives to Outlook: Dig In Here! Do You Know Top 3 Alternatives to Outlook: Dig In Here! When it comes to the email client, Microsoft Outlook is one of the most frequently used email client due to its versatility and feature-rich nature. MS Outlook has made its reputation as an authentic email client integrated with lots of settings, features which make it a powerful application. Apart from this, a user needs to spend a significant amount of time and patience to master the email application and all of its features. Moreover, there are many users who want an email client with a user-friendly interface and amazing features. The major point is the cost factor. Although MS Outlook is an efficient email client, it is not pocket-friendly for most of the users. Now, there are many users who search for a reliable, feature-rich and cost-effective email client over Outlook. Thus, in this blog, we are going to introduce top 3 alternatives to Outlook. One can select any email client as per the features and requirements. In this section, we are going to discuss different email clients which can be used at the place of MS Outlook email client which act as a perfect alternative to you. The user can opt for any email client according to the features and organization’s requirements. Nowadays, most of the people rely on Mozilla Thunderbird email client for their data management and communication purposes. The best part of this email client is, it is completely free and open source. Additionally, the user interface of the email client is very easy-to-use. One can easily expand its capabilities with the help of tons of add-ons by using this alternative. Thunderbird is integrated with strong security and data protection algorithms. It also allows for email encryption, this feature is very beneficial for privacy-centric users who are concerned with their data privacy. The various themes and add-ons available which make this email client one of the most customizable email clients. All the benefits associated with the Mozilla Thunderbird make it the most stable alternative to Outlook. Apple Mail/Mac Mail is the inbuilt email client of the Mac Operating system. If users need to switch from Outlook to Mac-based email client then Apple Mail is the best choice. The interface of Mac Mail is simple, easy-to-navigate, and use. One can easily manage multiple email accounts via Apple Mail as it supports popular email services such as iCloud, Gmail, Microsoft Exchange, Yahoo etc. The user can also manage contacts and calendar using Apple Mail in an efficient way. When it comes to the security factor, Apple Mail ensures the security and privacy of data. Moreover, this email client can be easily integrated with other Apple devices and products. Eudora is a desktop based email client which can be used for Mac, Windows as well as Linux Operating systems. This email client comprises of a variety of features to manage emails, contacts, calendars etc. in a hassle-free way. With Eudora, one can easily manage multiple POP and IMAP account. It is also integrated with powerful filters, labels, and a flexible template system for proper email handling. The user can easily read and send formatted HTML emails via Eudora. Additionally, it also supports solid plain text. It also includes a fast email search which makes the search process simpler. ‘SpamWatch’ feature: Help in spam and junk filtering, alters all suspicious links in phishing emails, looks for spoofed URLs in phishing emails etc. If You Need to Switch From Outlook To Thunderbird/Apple Mail/Eudora Or Any Other Email Client? Sometimes, the user needs to migrate from one email client to another. As per the above scenario, if the user wants to switch from Outlook to Thunderbird, Eudora, Apple Mail etc. then he/she has to opt for a smart and automated solution. To implement this migration process, the user has to convert Outlook PST data into MBOX file format. 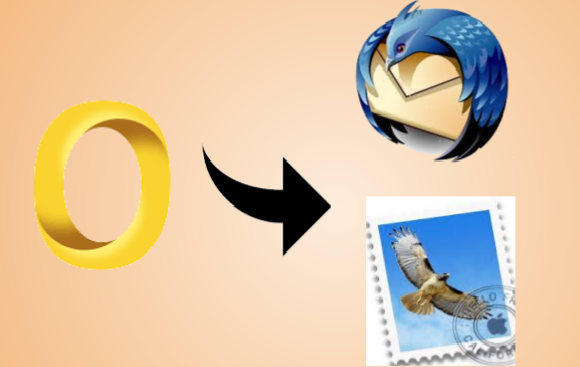 As MBOX file format is supported by Thunderbird, Eudora and Apple Mail. To convert PST data into MBOX file format one can opt for SysTools PST Converter. With this utility, the user can easily convert Outlook PST data such as emails, contacts, calendar, tasks etc. into MBOX file format. The software is available for both Windows-based version and Mac-based version. Now, Email Client Selection Is Easier: Isn’t It? Most of the users search for email client better than Microsoft Outlook. Thus, in the above section, we have explained top 3 alternatives to Outlook. Moreover, we have also introduced a reliable and smart utility to convert Outlook PST data into an MBOX file format. This will help the user to migrate all data from Outlook to Thunderbird, Apple Mail, Eudora or any other MBOX file supporting email client in a trouble-free way.